Biodiversity is the biological diversity of all living forms (plants, animals, and microorganisms) on Earth. It encompasses variability in both terrestrial and marine environments at the level of population (genetic and species diversity) and ecosystem (spatial habitat diversity). Biodiversity is the natural wealth of the circumpolar Arctic that provides resources and ecological services for humans and nature. Genetic diversity represents the heritable variation within and between populations of organisms. The genetic variation within Arctic species is relatively high, despite the low number of plant and animal species. The limited number of plants, animals, and microorganisms living in the Arctic were subject to major climatic variations during the Ice Ages (Pleistocene period, two million years ago to 10,000 years ago), which led to significant genetic variation within species and increased their capacity to adapt to changes in the Arctic environment. Species diversity or "species richness" is the number of species per spatially defined unit. Compared to tropical and subtropical ecosystems, species diversity in the circumpolar Arctic is relatively poor. Approximately 44% of the known global biodiversity of plants and 35% of all nonfish vertebrates are endemic or naturally occur only on 12% of the Earth's surface. These areas of high diversity are located in the tropical rain forests of central and western Africa, Central and South America, and eastern Asia. In contrast, only a small number of terrestrial species are able to survive the extreme climatic conditions within the large area of the Arctic. For example, only about 0.4% of the Earth's known vascular plant species occur in the Arctic. The Arctic flora, depending upon the classification of subspecific taxa, totals approximately 1500 vascular, 750 bryophyte, and 1200 lichen species. Well over 100 species of birds are known to breed in the Arctic; however, only 11 species are capable of living in the Arctic all year round. The total number of terrestrial mammals is 48, with 31 occurring in Canada, 29 in Alaska, 33 in Russia, and 9 in Greenland. The invertebrate fauna of the Arctic consists largely of insects. Marine ecosystems are characterized by large stocks of a few key species of plankton, crustacean, large sea mammals such as seals, walruses, and whales, and probably not more than approximately 25 fish species, of which only a few are restricted to fresh water. Species richness and biomass production decline with increasing latitude and altitude. In most areas of the Arctic, less than ten species of higher plants make up more than 90% of the vascular plant biomass. 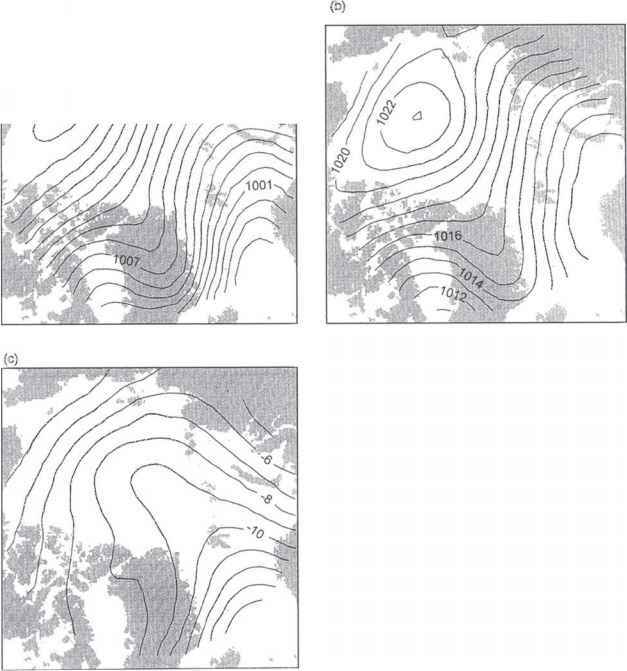 Perhaps as few as 20 genera account for most of the plant biomass of the circumpolar Arctic. These are plants of the genera Betula (birch), Rubus (e.g., cloudberry), Dryas (aven), Vaccinium (e.g., blueberry), Empetrum (crowberry) and Ledum (labrador tea) as well as the sedges Eriophorum (cottongrass) and Carex (sedge). Biodiversity at the genetic and species levels is important because it enables Arctic ecosystems to prevent and recover from natural disturbances and disasters; having more genes gives more possibilities for adaptation. Genetic diversity buffers environmental changes and provides insurance against loss of fundamental ecosystem functions. The term biodiversity also implies functional diversity (e.g., food webs) and spatial diversity of ecological structures (also called structural diversity). Structural diversity is the diversity of habitat or landscape structure. In some areas of the Arctic, for instance, where microhabitats of peat mounds and corresponding troughs are provided, species diversity is significantly higher. The mosaic of habitats within a landscape at a point in time is the result of disturbances at all spatial and temporal scales. Not only do locally varying geology, topography, or wind exposure generate habitat heterogeneity in the Arctic, but so do periglacial disturbances such as frost boils, hummocks, palsas, pingos, ice-wedge polygons, or thermokarst lakes, all of which are typical of the Arctic environment. As a consequence, long-or short-term changes in habitat structure lead to a change in species composition. Because species diversity in the Arctic is relatively low, some food webs are simple and short. In many cases top consumers are harvested as traditional food sources by indigenous peoples. Arctic food chains are also of particular concern for humans and nature as they are extremely vulnerable as a potential pathway of contaminants. The diversity and complexity of food webs increase as Arctic ecosystems grade into more temperate ecosystems. Unlike terrestrial ecosystems, marine environments are far more productive. The North Atlantic waters are among the most productive areas of the world and support a large production of algae that are consumed by higher trophic animals and eventually by top predators and humans. Arctic animals and plants are specially adapted to their extreme environment. Both terrestrial and marine mammals have large body-volume-to-surface ratios and store considerable amounts of fat. Saving energy and body heat is an integral part of survival in the harsh Arctic environment. Low summer temperatures and the short growing season are severe environmental factors inhibiting plant growth and establishment. Generally, the leaf areas of Arctic plants are low and many perennials form compact cushions, which protect them from physical damage by severe wind abrasion during the winter. Another physiological adaptation is wintergreen leaves. These are leaves that develop late in the summer and remain green under the snow. Thus, photosynthesis can begin as soon as the weather is warm in spring and before there has been time for the new season's leaves to start functioning.